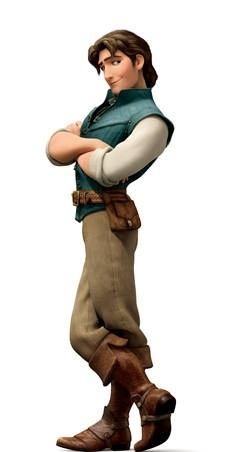 PROS: Although you don’t see all of Flynn’s good characteristics at first, he’s funny, down to earth, master of the “smolder”, charming, romantic, good-hearted, compassionate, chivalrous, sensitive, kind — and of course he has “superhuman good looks” . CONS: When we first meet him he’s a conniving thief who is only out to save his own skin … and steal a valuable crown. LEAST SHINING MOMENT: He’s pretty much a rough through the first half of the movie. WHY I CHOSE HIM: Well… when I did my Disney Princes profile last week I had several people tell me I simply HAD to see Tangled because they just loved Flynn. So I did, and I do. He’s a charmer, I admit. 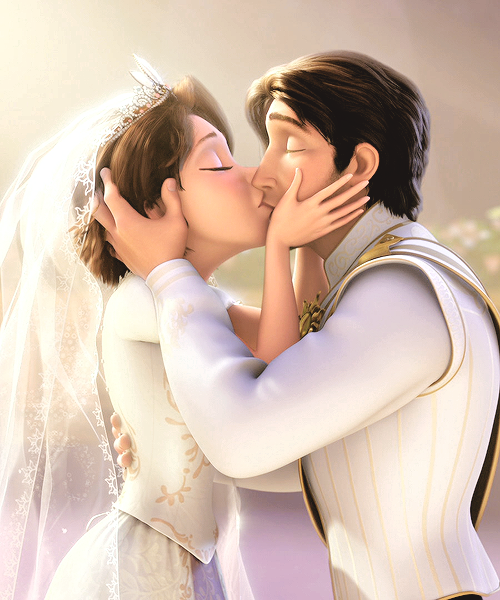 Flynn/Eugene and Rapunzel get married at the end. She’s been restored to her place as Princess, so technically he becomes a Prince. The cute couple even make a cameo in the latest Disney blockbuster, Frozen. 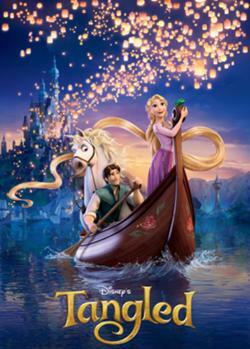 All images on this post are courtesy: Disney. This entry was posted on Wednesday, February 12th, 2014 at 1:48 am	and posted in Disney, Flynn Rider, postaday, Secondary Character, Tangled. You can follow any responses to this entry through the RSS 2.0 feed.